Invisalign® treatment is the most modern way to straighten teeth. Invisalign® clear aligners are the future of teeth straightening — 95% of orthodontists agree. 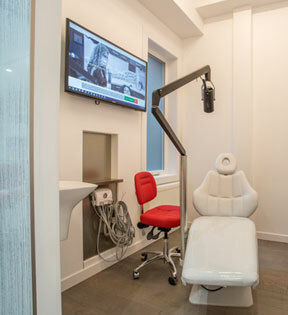 After taking a digital scan using our iTero machine, Dr. Sky will develop a treatment plan using a series of custom-made, removable, and virtually invisible aligners. With this advanced technology, you will even be able to see what your step-by-step progress treatment would look like. 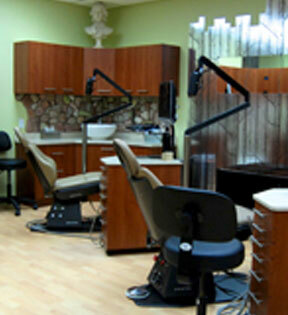 Your first concern as a parent or patient is choosing a treatment that will result in the best smile. 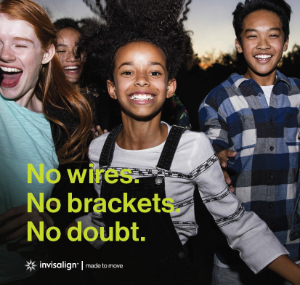 With advances that no other clear aligner can offer, like SmartTrack® material and SmartForce® features, Invisalign clear aligners straighten teeth with 75% more predictability — without interrupting the patient’s daily life. Whether the issue is overcrowding or spacing, an overbite or an underbite, and so on, Invisalign is the best solution. Invisalign treatment can now shape a smile up to 2x faster. Invisalign clear aligners straighten teeth even faster — as much as 2x faster. 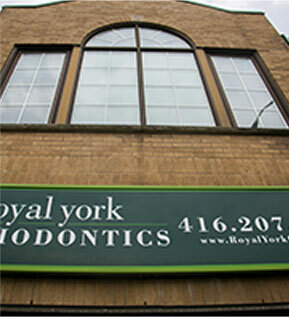 And they are clear and removable, so you can see the progress in your smile every step of the way. There are no brackets to rub and cut, or wires to poke out and break. And unlike most other aligners, Invisalign clear aligners are trimmed along the gum line for optimal patient comfort. 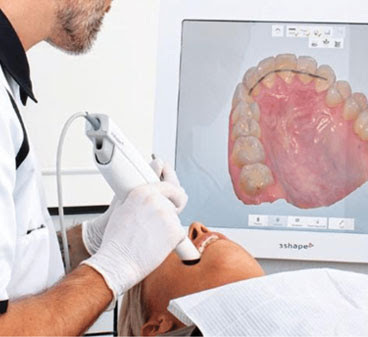 Each aligner is designed to perfectly fit the patient. Studies show teens wear their aligners the recommended 20 to 22 hours a day. Plus, only Invisalign clear aligners have built-in compliance indicators, so you can be sure your teen is wearing the aligners. Replacement aligners are available should any be misplaced. There are even free apps, like TrayMinder Aligner Tracker by Mars Lan, which can help you keep track of aligner use and remind you to change them. People who wear Invisalign clear aligners are more confident. You want a patient to see what loved ones have always seen: their potential. Traditional braces can make patients self-conscious, and studies show that people with Invisalign clear aligners are 2x more likely to have a boost in self-esteem. There is no concern about food stuck in metal braces or other awkward situations like that. 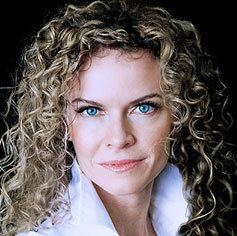 Invisalign is virtually invisible and just as effective, if not more. You can have fewer, shorter clinic visits and fewer emergency visits. Invisalign treatment can give you back family time, because Invisalign clear aligners don’t need to be manually adjusted by an orthodontist. And you’ll never have an emergency visit due to broken wires or brackets. Since aligners don’t need to be manually adjusted, a patient can technically space out visits according to their schedule and not impede their treatment. 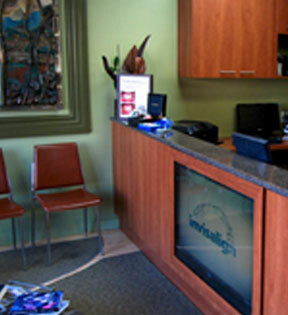 An Invisalign patient can keep living their life without interruption during their treatment. The aligners are virtually invisible and easily removable, so a patient can still enjoy taking pictures, social events, and all the foods they love. 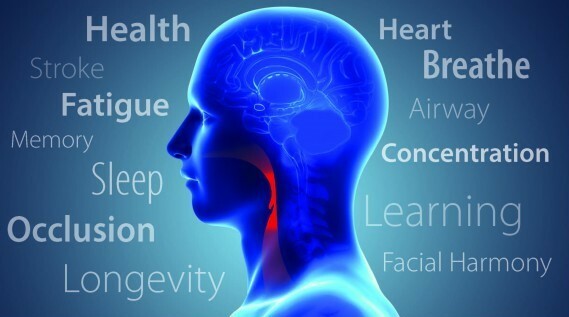 Plus, no brackets or wires means sports injuries are less likely. A patient can even continue to brush and floss as usual for better oral health — and have less cavity-causing plaque than patients with braces. With metal braces there are a lot of rules about what you can and can’t eat, and how to eat certain foods. Invisalign patients can still enjoy gum, corn on the cob, biting into apples, ribs, and all the other yummy foods that are on the metal braces no-no list. You just take off your aligners to eat and then put them back on afterwards! Ask us how insurance, flexible spending accounts, and payment plans can help you fit Invisalign treatment into your budget. Insurance companies tend to treat Invisalign the same as metal braces. 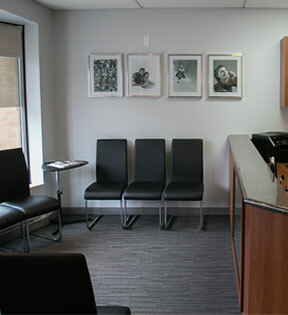 Orthodontic Studio will always do its best to accommodate emergency appointments. SmartForce attachments are small tooth-colored bumps that are attached to your teeth before or during your Invisalign treatment. They’re like handles, giving aligners something to gently push on. Invisalign® clear aligners fit smoothly and tightly around them, so they’re barely noticeable. Not everyone who uses Invisalign clear aligners will need SmartForce attachments. However, sometimes these attachments fall off. We always try our best to squeeze in our patients for these rare emergency appointments. Still have questions? Learn more at www.invisalign.com or give us a call!